The need for sandboxing an antivirus tool has become necessary after multiple critical vulnerabilities were discovered in such powerful applications, including Windows Defender, in past years that could have allowed attackers to gain full control of a targeted system. That’s why Microsoft announced to add a sandbox mode to its Windows Defender. So, even if an attacker or a malicious app exploiting a flaw in Defender compromises the antivirus engine, the damage can’t reach out to other parts of the system. “Security researchers both inside and outside of Microsoft have previously identified ways that an attacker can take advantage of vulnerabilities in Windows Defender Antivirus’ content parsers that could enable arbitrary code execution,” Microsoft said in a blog post. “Running Windows Defender Antivirus in a sandbox ensures that in the unlikely event of a compromise, malicious actions are limited to the isolated environment, protecting the rest of the system from harm,” Microsoft said. 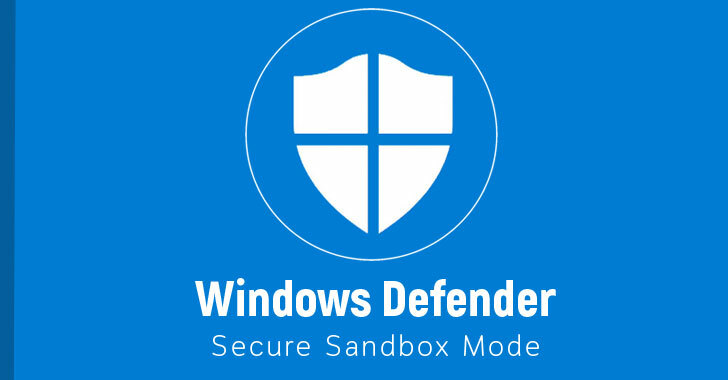 According to Microsoft, implementing sandboxing in Windows Defender was a challenge for its engineers because the process had the potential to cause performance degradation and required a number of fundamental changes. However, the research community has taken it as a welcoming step by Microsoft that has raised the bar on security for commercial antivirus and anti-malware solutions out there. Microsoft is gradually rolling out a Windows Insider preview supporting the sandboxing feature in Defender Antivirus, and the feature will soon become widely available, though it is not sure when this will happen.